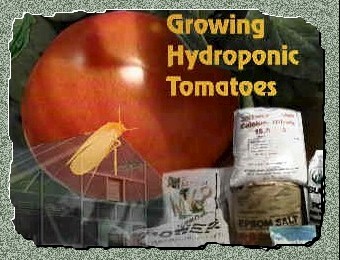 This interactive web site provides practical, accurate information on growing hydroponic tomatoes for students, hobbyists, and beginning growers. Hydroponic culture is one of the most exacting and intensive methods of crop production used in agriculture today. Over the last 20 years, great advances in hydroponic technology have been made through extensive research and development programs in the United States and Europe. And although hydroponics may be technology and capital intensive, it is also extremely productive and efficient in its water and land use. Whether your interest in hydroponics is as a hobby, an additional source of income, or you want to get into the commercial market, the future and opportunities in soilless culture are more favorable today than ever before. We hope this introduction to hydroponic tomato growing will spark your interest, provide information, and lead you other resources available in print and on the web. To navigate this site, begin by clicking on the tomato button below. From the Overview page, choose the directory of interest by clicking on the appropriate tomato in the buttonbar at the top of the screen. Live links to related sites are listed in the Search/Links section. And don't miss the chance to test your skills in the interactive pruning quiz in the Plant Science section! This site was last updated on July 10, 2000. This page has been viewed times since Feb 6, 1998.